Heart attacks and bleeding gums are connected by a missing vitamin in your diet. The link between gum disease and heart attacks has long been known. The scary reality is that people with gum disease are twice as likely to have heart disease. But the problem has been that we’ve missed the real reason why teeth and heart health are related. For many years, the dental-heart connection was primarily attributed to acute pericarditis. That’s inflammation of the membrane that surrounds the heart. The dental portion of this theory was the idea that bacteria from the mouth would travel through the body and infect the cardiac tissue. This really is where our idea of the dental-heart connection stems from. Later, research revealed that gum disease is a marker for heart disease. While some of this theory is indeed true, bacteria from gum disease does relate to heart problems. But the real link between teeth and heart health goes much deeper. And it’s all related to why dental nutrition is so important for your body. The REAL dental-heart connection involves how your body manages calcium. We know that our bones and teeth need calcium but your heart and blood vessel health depends on your body’s ability to keep most calcium out of your arteries. While some calcium is needed to clot your blood and prevent you from bleeding, too much causes buildup, and the hardening and narrowing of blood vessels. Why do arteries become calcified, so that they harden, narrow, and cause conditions such as high blood pressure and congestive heart failure? And what does hardening arteries have to do with your oral health? How can they possibly be connected? The answer lies in a vitamin – vitamin K2 to be exact. This is significant because heart disease is still the leading cause of death in the Western world. And vascular calcification causes heart disease, which depends on sufficient vitamin K2 levels. Found in organ meat, butter and synthesized in your gut, vitamin K2 is needed by your body in sufficient quantities. Vitamin K2 plays an important role in determining where calcium is deposited throughout your body. Increasing your vitamin K2 intake has been shown to increase bone density, improve teeth strength, and prevent osteoporosis. Research is finding that when vitamin K2 levels are insufficient, this can cause artery calcification and therefore can increased risk for heart disease. When your body doesn’t have sufficient vitamin K2 levels, calcium that should be deposited in your teeth and bones can build up in other areas. This eventually becomes problematic. Let’s take a closer look at the interaction of the K vitamins and your cardiovascular system. The K Vitamins – What’s the Difference? The K vitamins play a pivotal role in heart health. When vitamin K was initially discovered, it was immediately associated with blood coagulation or clotting. Looking further, scientists eventually found that there are two forms of vitamin K, K1, and K2. Vitamin K1 is mostly responsible for blood clotting, while K2 tells your body where calcium should go. Vitamin K2 works like a traffic light determining when and where calcium in the body it’s allowed to go. Because K2 tells your body where calcium needs to be deposited, it’s closely linked with bone and dental health. If you don’t have enough vitamin K2 you’ll likely have weak bones and teeth – a symptom of periodontal disease. Vitamin K2 is also important to the cardiovascular system and kidney health because both of these systems require healthy calcium levels to function properly. Vitamin K1 (phylloquinone) is found in dark leafy greens. Vitamin K2 (menaquinone) is found in animal meat, fermented foods, and can be created by your gut. 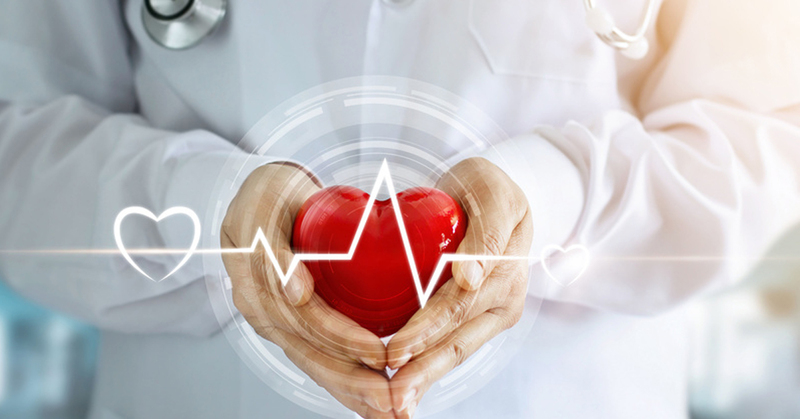 While both are important for a healthy body, vitamin K2 is the reason why people with periodontal disease also have double the risk of heart disease. The Vitamin K2 and Heart Attack: Can vitamin k2 reverse heart disease? The Rotterdam Heart Study was a famous, large, and well-controlled vitamin k2 clinical study that followed 4,800 Dutch individuals for seven years. The study found that those who had the highest vitamin K2 intake had 57 percent fewer deaths. The study also found that those with higher K2 intake had fewer calcium deposits in their arteries and less hardening and narrowing of their blood vessels. Overall, those with higher levels of vitamin K2 had healthier cardiovascular systems. Other studies have found a direct correlation between available K2 and vascular calcification. Further vitamin k2 studies have shown that when sufficient K2 is present, there’s less calcification of the cardiovascular system, leading to decreased risk of heart disease and mortality. Vitamin K2 may reverse heart disease by preventing and reversing calficification of your arteries and may reverse heart disease. Vitamin K2 works by allocating calcium stores to various parts of the body. It activates proteins called matrix GLA protein (MGP) that carry calcium where it needs to go. When you have enough vitamin K2, your body sends most of your calcium to your bones and teeth. When you have low levels of vitamin K2 or you’re taking medication that interrupts vitamin K, calcium ends up in unhealthy levels on undesired body systems, including your cardiovascular system and kidneys. Studies have found that vitamin K2 activates the matrix GLA protein (MGP), which prevents the buildup of calcium on artery walls. Meaning diets low in vitamin K2 (Western diets high in processed foods) significantly increase risk for heart disease. Vitamin K2 is also responsible for the structure and strength of your teeth. And gum disease, by definition, is the breakdown of your teeth and gums, so it’s no surprise that vitamin K2 deficiency would present as both gum disease and gum disease. In fact, if you suffer from gum disease or have bleeding gums it’s a good idea to check your vitamin K2 intake. Gingivitis will occur in your mouth before it progresses to problems that involve your heart. I often talk about how your oral health is a very good indicator of your overall health, and vitamin K2 is one of the most important. While you can take supplements, vitamin K2 is one of those vitamins that is much better if you can get it from your diet rather than in pill form. We know, with certainty, that poor oral health means an increased risk for cardiovascular disease. But poor oral health also increases the risk of other diseases, including stroke and type 2 diabetes. I cannot emphasize this enough – your oral health is the gateway to the rest of your body and therefore your overall health and wellbeing. The dental-heart connection is one of the most important ways that teeth manage your overall health. Our knowledge of the connection of oral health, how we can support it, and improve our quality of life is growing more detailed than ever before. We are realizing that human health your mouth and food are all connected. It’s through the processes in the body that we can begin to realize the full potential of our health and work to keep our bodies fitter, longer. I encourage you to incorporate healthy habits that support your K2 levels because it’s critical to your dental and your heart health. We knew that poor oral health means a higher risk of heart disease, but we now know the connection is related to a vitamin K2 deficiency. The good news is you can increase your vitamin K2 intake by starting The Dental Diet today! Share this article with someone you love so they can learn more about the importance of vitamin K2 and have a healthier, longer life. What if you are a vegetarian? Would a K2 supplement be OK? K2 as a supplement often comes from Natto ( fermented soy beans) which is a vegetable. You mention in another post that kids under the age of 12 should take 45 mcg. of vitamin K2. What would the dosage be for a child who is 12.5 years old? Do you have any recommended brands in the form of drops as she can’t swallow pills? K2 is important but the real connection between gums and heart disease is inflammation. Gum disease or periodontal disease is a bacterial infection. Bacteria love warm dark places like between the tooth and gum. When your body is constantly trying to fight an infection it cannot win it causes the immune system to cause inflammation in the rest of the body. It is this inflammation that causes plaque to form on the walls of the arteries, causing heart disease. The same inflammation is causing strokes, low birth weight babies, fibromyalgia, rheumatoid arthritis, and erectile dysfunction in men. Eat a healthy diet such as this one but see your dentist regularly your smile and life depend on it. Thank you for alerting us about the symptoms and relationship between gum disease and heart disease.After reading this I become more careful regarding healthy lifestyle.